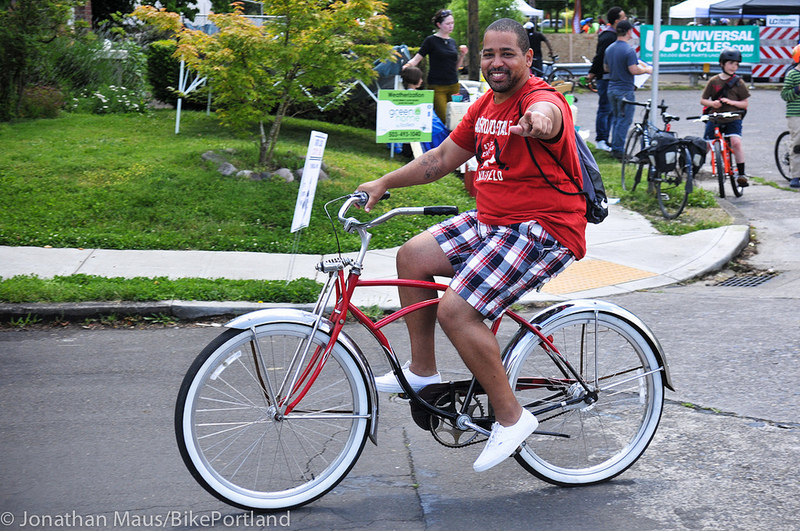 Time to cruise carfree streets in north Portland! It’s definitely a clothing-optional weekend. 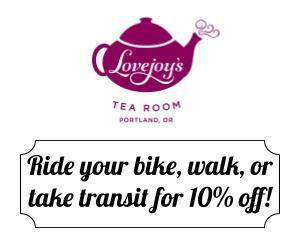 Whether you want to soak in the Portland spirit at Sunday Parkways and the World Naked Bike Ride; or escape the craziness for a race on Mt. 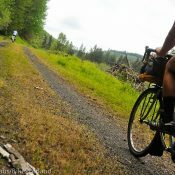 Hood or a ride through the Willamette Valley, we’ve got something for you in this week’s guide. 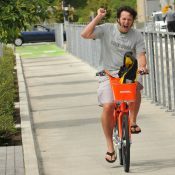 Don’t forget to peruse the official Pedalpalooza Calendar for all the goodness. And don’t forget to support Abus Bike Locks for making this content possible. Join ride leader Tom Howe of Puddlecycle fame and discover three oft-overlooked buttes in the Gresham area — including the new nature park at Hogan Butte. Expect a 9-mile route with some honest climbing. The views will be worth it! More info here. If you haven’t seen this live, bike-themed, multi-venue theater production, you owe it to yourself to check it out. An original musical production by Working Theatre Collective. 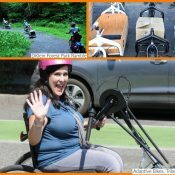 Check our recap and photos of the 2012 bike play to get a sense of what to expect.More info here. 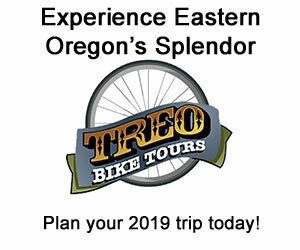 Choose from four routes and roll your way through the beautiful Willamette Valley on this expertly supported and organized ride. Registration includes pre-ride breakfast, fully-stocked rest stops, mechanical support, free entry to Oregon Gardens, and a post-ride party with live music! More info here. What better way to spend Saturday morning than riding around garage sales looking for treasures? To make it even more fun, everyone will meet up at a brewery afterwards to show off their finds. And there will be prizes! More info here. Hit some balls and have some fun. From the organizers: “Will start at a place with food and drink, then parade through quiet streets to random parks and vacant parking lots to set up mobile ‘greens’ that we will carry with us, and proceed to play our way through residential streets, to end at a permanent course. We will circle back near where we started, to enjoy some 19th hole refreshments.” More info here. This is it folks. This is not a drill. One of the most anticipated rides of the year and your chance to experience what 10,000 people moving together in a mass of flesh feels like. It could change your life — or at the least be the most fun you have all week. More info here. Get out of town and clear your lungs with a classic off-road race put on by venerable veteran Erik Tonkin and his Sellwood Cycle Repair shop crew. More info here. 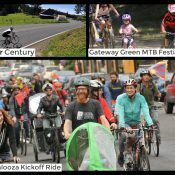 Combined with the Pedalpalooza spirit, a carfree route that takes you along the beautiful bluffs above Swan Island, and the warm summer days we’ve been having, this could be the most epic open street event of the year. Grab your friends and family and make a day out of it. More info here. “Bicycle Kitty” Maria Schur (the woman who also put together the epic Pedalpalooza Kickoff Ride) will lead you on a public pool crawl. Bring cash and small bills to make the line go faster and to get those yummy poolside snacks from the concession stand. Don’t forget a towel and sunscreen! Kids welcome, but expect the route to be about 20 miles with a few hills. More info here. This ride will meet in northeast and then ride en masse to the ICE HQ in southwest. Organizers want to, “make our resistance to this country’s brutal, dehumanizing immigration policies felt.” Will end at the ICE rally and protest.More info here. Our friend Patrick Loftus is leading this 7th annual ride that tests your strength and stupidity. Must ride a bike weighing over 40 pounds — or load your svelte machine with cargo to make it heavy (backpacks don’t count). The route goes up to Pittock Mansion where a sunset viewing will be had. Bring lights for the way back down. And good breaks of course. More info here. Heavy Bike Hill Climb is gonna be a hot one. We won’t forget the cold drinks this time. Surely thats XC, not CX, at SkiBowl? yep. i made a mistake. will fix it right away. thanks for catching that dave.